This is so cool! If you are a Marvel fan, you'll want to know about this! Marvel Universe LIVE! is a live action show featuring your favourite super heroes and villains and will be debuting in Victoria and Vancouver in June 2015! More than 25 Marvel characters will appear together to embark on an epic quest. It will feature an original story and have all sorts of special effects, pyrotechnics, aerial stunts, motorcycles and more! Prices range from $30, $45, $75 and $115. 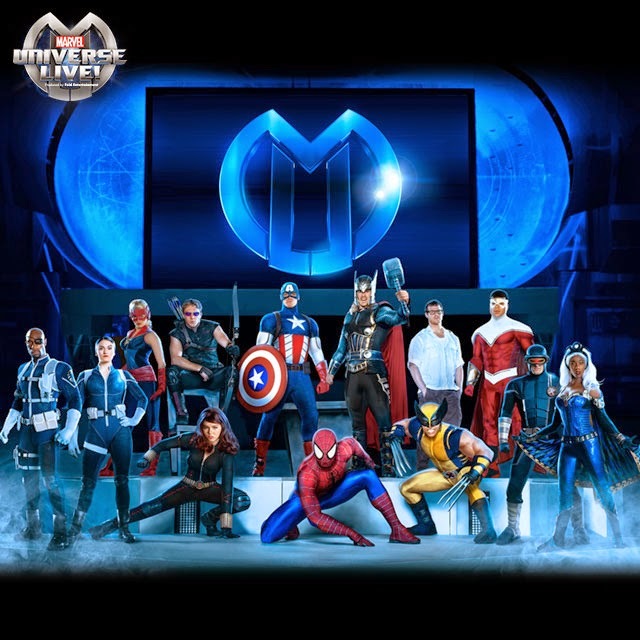 Visit www.marveluniverselive.com for more info. FOR AN EPIC BATTLE TO SAVE THE UNIVERSE! (Vancouver, BC) – Marvel fans, assemble! Marvel Universe LIVE! is taking the live entertainment experience to a whole new groundbreaking level, with a mind-blowing stunt show unlike anything experienced before! Watch your favorite Marvel Super Heroes, including Spider-Man and The Avengers (Iron Man, Black Widow, Hulk and more), plus menacing villains, come to life in an action-packed arena extravaganza debuting for the first time ever in Canada, playing Victoria from June 11–14 at the Save-On-Foods Memorial Centre followed by Vancouver from June 18–21 at the Pacific Coliseum. Marvel Universe LIVE! will captivate audiences with an authentic and original story that brings more than 25 Marvel icons together on one fantastic quest. The Cosmic Cube, the source of ultimate power and one of the most feared and coveted treasures in the Marvel Universe, has been shattered into pieces by the Mighty Thor in order to prevent it from falling into the wrong hands. With the pieces scattered across the globe, Thor’s villainous brother Loki devises a scheme to clone its powers, inciting a threat that could not only decimate Earth but also obliterate the Universe. Feel the energy and excitement with cutting-edge special effects, pyrotechnics, aerial stunts, martial arts, motorcycles, and stunning video projections that completely immerse the audience into the epic action and story. Nearly two years in the making, Marvel Universe LIVE! is being hailed as the most technically advanced and innovative live touring show ever (in more than 40 years of Feld Entertainment history). Join Marvel fans of all ages for this once-in-a-lifetime, monumental performance…the fate of the Universe depends on it! Tickets available for purchase online at www.selectyourtickets.com, charge by phone at 250-220-7777, or visit the venue Box Office. *Not valid for VIP/Front Row seating. Tickets available for purchase online at www.Ticketleader.ca, charge by phone at 604-252-3700, or visit the venue Box Office.